This article about pre 1974 strata plans has been supplied by Bannermans Lawyers. Have you enjoyed this article? 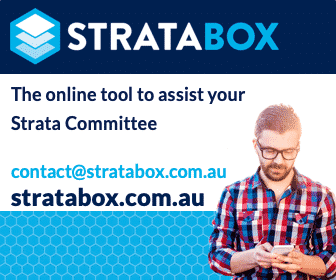 If you would like to be kept informed about strata matters, click here to subscribe to our weekly newsletter. For owners corporations with a strata plan registered prior to 1 July 1974, things work a bit differently than for other schemes. There are important differences regarding what is common property and what owners corporations and lot owners are responsible for. This is because schemes registered prior to 1 July 1974 were set up under different legislation, which provided for a different demarcation between lot property and common property. For these schemes, under the so-called “centreline rule”, the boundary between separate lots and lots and common property was the centreline of the dividing structures, i.e. walls, floors and ceilings. The practical consequence of this is that part of the dividing structure was lot property and owned by the lot owner, restricting what the owners corporation could do with the dividing structure and imposing maintenance obligations on lot owners in relation to dividing structures. In some cases, transitional provisions in newer legislation may have changed this. For newer schemes, the demarcation is generally the inner surface of the dividing structures, i.e. walls, floors and ceilings. The strata plan may indicate that the boundary is the centreline or exterior face of the dividing structure, in which case the dividing structure remains partially or wholly lot property, depending on whether the centreline or exterior face is indicated. Otherwise, dividing structures between separate lots and lots and common property are common property, the lot being defined by the inner surface of the dividing structure, whether it be a wall, ceiling or floor. Dividing structures between separate parts of the same lot are lot property, even if the dividing structure is shown on the strata plan. As a result, dividing structures, such as doors and windows, between separate parts of a lot, such as a living area and separate courtyard or balcony, are lot property. the façade of the building? Where the strata plan indicates that the boundary is not the inner surface of the facade, but rather the centreline or outer surface of the façade. Where part of the facade divides part of a lot from another part of the same lot. For example, the facade could include a door or window dividing the internal living area of a lot from an external courtyard or balcony. Unless one of these exceptions applies, the owners corporation will be obliged to maintain the facade and will have power to access the facade for that purpose. However, if access to the interior of an adjoining lot is required, lot owner consent or a Tribunal order may be required. This depends on circumstances, as balustrades perform various functions, but not necessarily the function of dividing a lot from a separate lot or common property. In the case of a balcony, the strata plan may indicate the boundary of the lot to be a baseline corresponding to the outer edge of the balcony, in which case the balustrade will be situated within the lot and constitute lot property and the lot owner will bear the maintenance obligation. Alternatively, the strata plan may indicate that the balustrade is the dividing structure, in which case the boundary of the lot would be the inner surface of the balustrade, which would be common property and the owners corporation would bear the maintenance obligation. windows, walls and doors between a lot and an associated courtyard or balcony? Windows, walls and doors between a lot and an associated courtyard or balcony will generally be lot property and the lot owner will be responsible for maintenance. What are the scheme’s rights if it wishes to carry out a façade upgrade and all or part of the façade is lot property, i.e. not common property? The owners corporation requires the consent of the relevant lot owner to alter the lot property. Section 122 of the Strata Schemes Management Act 2015(“SSMA”)overrides this to a limited extent, permitting the owners corporation to access lot property to carry out certain works. However, except in the case of an emergency, the owners corporation requires lot owner consent or a Tribunal access order. Also, the range of works permitted are limited, generally requiring works in order to comply with an order of a public authority, an order of the Tribunal or works required by the SSMA such as installation of child safety window barriers. The range of works which can be the subject of a Tribunal order is also limited, generally to building defect rectification works. What are the scheme’s rights if it has carried out or paid for repairs to parts of the building, which are not common property, e.g. the facade, balustrades, windows, walls or doors where these are lot property? Can it seek reimbursement from the lot owner? The owners corporation will generally have difficulty recovering, from a lot owner, the cost of repairs carried out by the owners corporation to lot property owned by the lot owner. This would be dependent on agreement with the lot owner or a statutory right. Statutory rights in this area are extremely limited. Section 120 of the SSMA does permit an owners corporation to carry out specified works and to recover the costs from the relevant owner, but this is limited to scenarios in which the owner has failed to carry out work ordered by a public authority or an order under the SSMA. How can the scheme and lot owners carry out collectively an upgrade involving both lot and common property? Owners corporations and lot owners can carry out collectively an upgrade of areas which are partly common property and partly lot property. However, in addition to a contract with the contractor undertaking the works, the owners corporation and lot owner(s) should consider entering into a development agreement between themselves. This would need to address a number of issues, including management of the works and their respective financial contributions. If you are the owners corporation or lot owner in a pre 1974 scheme considering carrying out works to your building, please contact us first, to ensure that these issues are properly addressed. NSW: What Do I Own and What is Common Property? NSW Cleaning House: What can Owners Corporations do about Unwanted items on Common Property?